When elegant minimalism meets practical design with sleek, square lines for modern living. The Diaz Sink comes with a bamboo board and colander. Rear waste outlets maximise usable space in cupboards below. When elegant minimalism meets practical design with sleek, square lines for modern living. The Diaz Sink comes with a bamboo board and colander. Large tap landing - included to accommodate a satelite filter tap or soap dispenser. 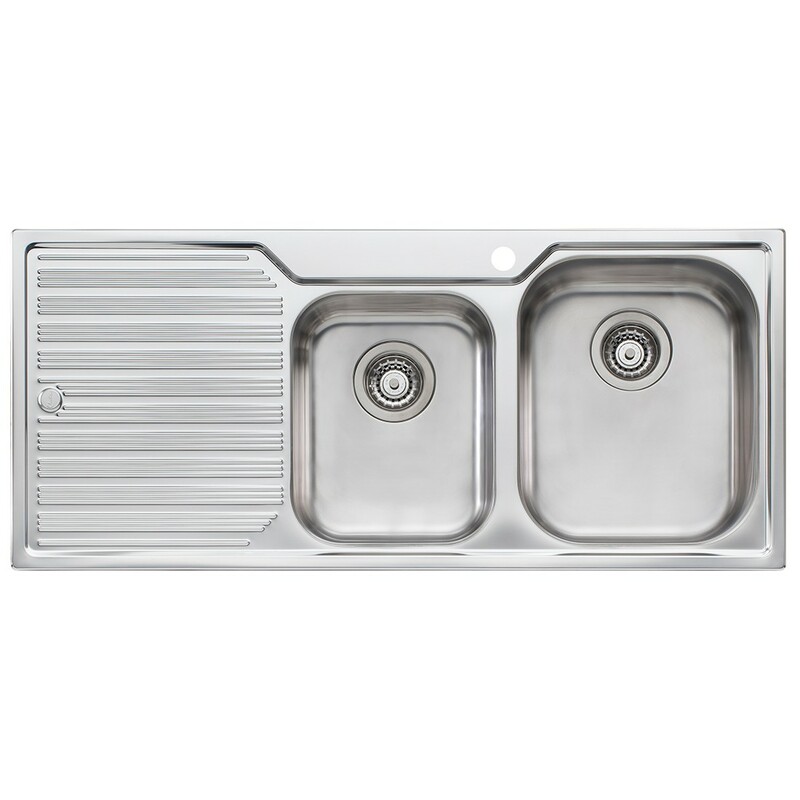 Stainless utility tray - creates a space for draining dishes and is included standard with double bowl-only sinks. Unique drainer - designed with rounded flutes that don't just look beautiful, they also reduce surface scratching. Rear waste outlets maximise usable space in cupboards below. Which scrapbook would you like to add this item to? Spec is already exist for the same name.